The student’s inquiry left me wondering what research led him to believe that I was “in charge” of the magazine. Googling “Cantos Lenoir-Rhyne” confirmed my hunch: the third site in the list of results was my blog. I am grateful that the posts that I’ve written about Cantos led the student to email me, which enabled me to put him in contact with the magazine’s advisors. And if you are another LR student who has found my blog through an online search for Cantos, I encourage you to submit your work as well. Since the magazine does not have an online presence–at least not yet–the announcements for its next reading period will be posted on campus bulletin boards. 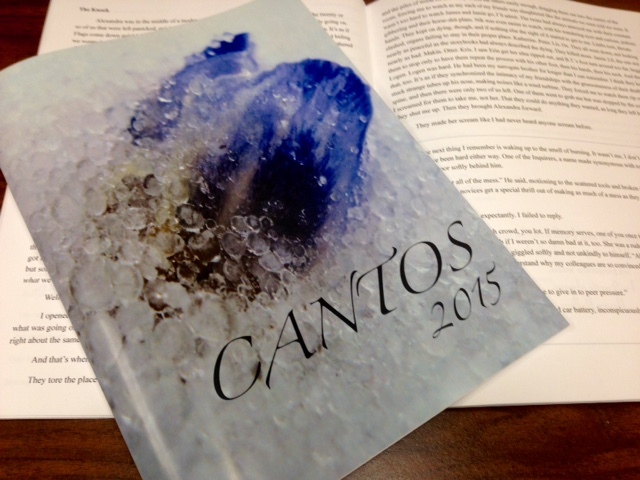 Once the reading period begins, you will be able to submit your prose, poetry, artwork, and photography to cantos@my.lr.edu.